Syria is populated mostly by people of Arabic descent, who comprise around 90 percent of the country’s population while the other approximate 10 percent are of Kurdish descendants. Most of the population lives in the Euphrates River Valley and the coastal plain looking out onto the Mediterranean Sea. The Kurds mostly keep to the northeastern corner of the country’s territory, though sizable communities exist in major cities. There have also been many refugees in Syria, such as those people who fled mostly from Iraq, Palestine, and Somalia. The World Refugee Survey of 2008 found that Syria hosted around 1.85 million refugees and asylum seekers, the greatest majority of whom were Iraqis. Officially called the Syrian Arab Republic, Syria lies on one of the oldest continuously inhabited regions of the world. It has a long history, dating back to the times of kings and their domains, to a time of swords and skirmishes. It has seen many wars, from ancient times and more recent periods. Syria is often mislabeled as a state that condones terrorism, though this is may be unfair. Regardless of this claim, it is the mystery and ancient air of Syria that attracts tourists to this country at the farthest western reaches of the Asian continent. The fact that it is at the westernmost border of Asia means that numerous travelers and explorers during the Age of Discovery passed through its lands. An ancient crossroads, Syria harkens to a time of fascinating adventures and learning about the world. Syria is part of Southwest Asia, and has a western border partially opening onto the Mediterranean Sea. It shares a border with Turkey to the North and a border with Iraq to the East. Most of the land in Syria is composed of dry plateau, though the areas near the north, west, and southern borders are green and serve as centers of food production. 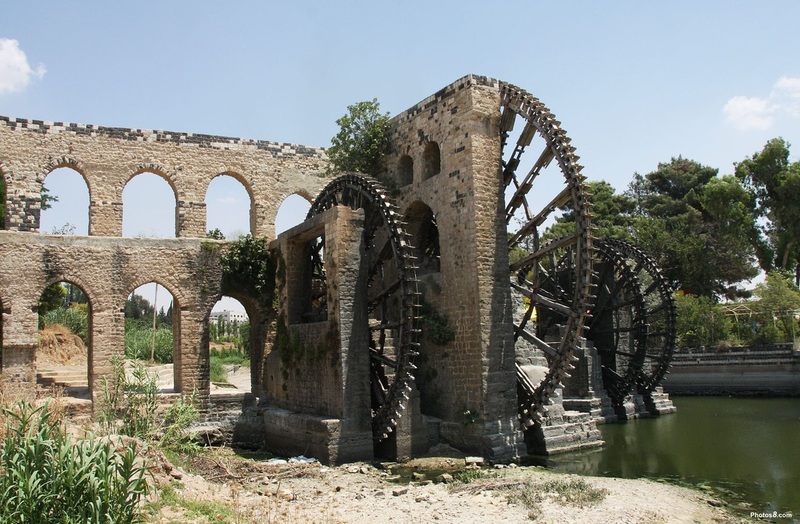 Syria is dry and hot, especially during the summers. Winters are mild, though snowfall is not unknown due to the elevation. Syria has oil fields to the east, and these are natural extensions of the Iraqi oil fields. These oil fields have made petroleum products the major export of Syria since 1974. 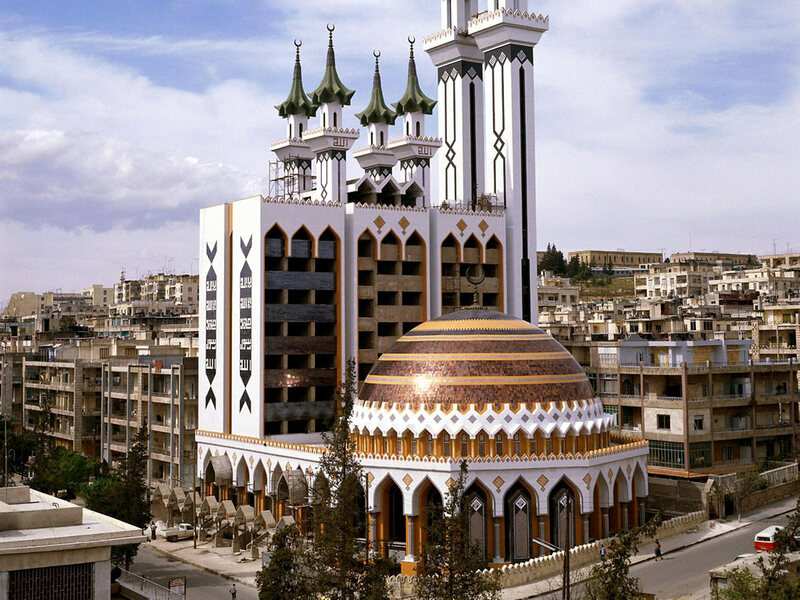 Being a predominantly Muslim country, Syria has a large number of fine mosques, which should prove interesting to visitors who subscribe to Islamic faith systems. What tourists really come to Syria for are the historical buildings. Damascus, Aleppo, and Bosra are some of Syria’s oldest cities, and they are marked as UNESCO World Heritage Sites. These cities are filled with exemplars of traditional architecture, and many buildings are old but well-preserved. 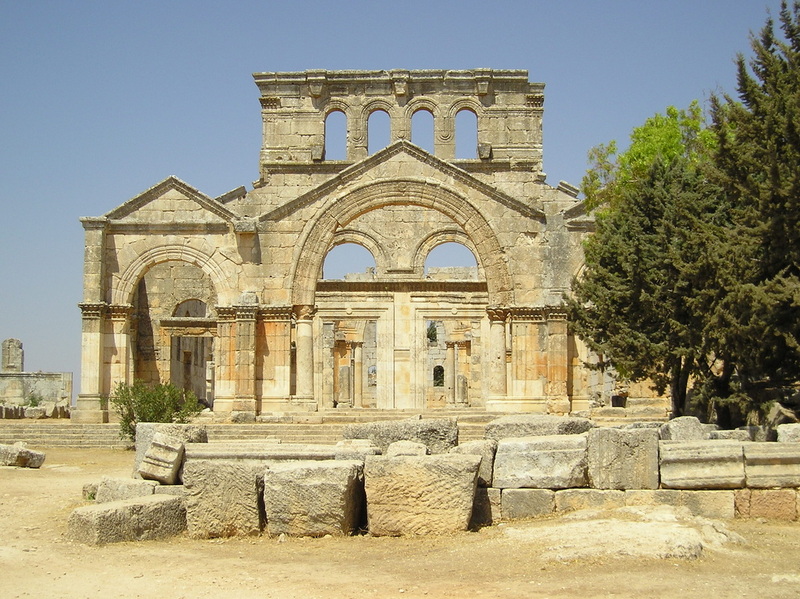 There are also very old Christian churches in major cities like Damascus. The souqs or marketplaces, like the Bizouriyya Souq in Damascus, are labyrinthine, filled with heady smells and exotic sounds and may have the perfect item for the shopper who is looking for something unique. While the handicrafts industry has been declining, the products of such labors are still widely available. 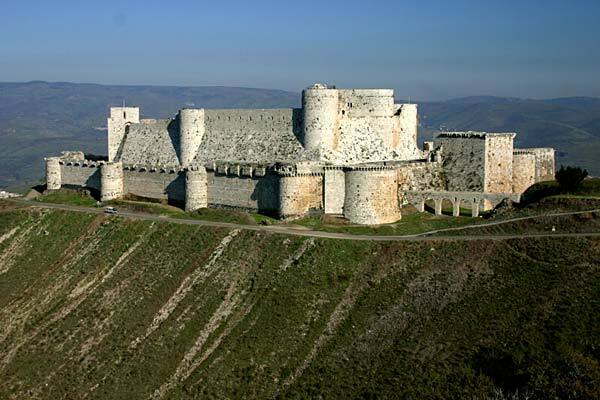 The Crusades left their mark as well, and castles and fortresses dot the Syrian countryside. The ruins of the Roman city Apamea will let you get a glimpse into the past, and wonder at what stories the walls could tell if they could talk. 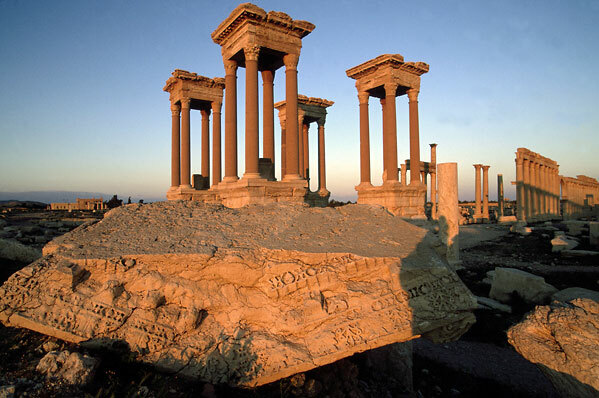 Finally, there is the majestic desert city of Palmyra, once a bustling community but now an amazing site of ruins. Picnics in ruins like these are also permitted, but make sure to ask local law enforcement to be sure. Nightlife is more subdued in Syria, so one should not expect too much excitement at night. In the evenings though, the souqs are also great places to visit to sample the cuisine and meet all sorts of people. Haggling is acceptable, even expected in some way, so the avid shopper can have a lot of fun. Sitting down at a restaurant or coffee shop and passing time will allow you to enjoy the cool night winds and enigmatic atmosphere of the Arabian nights. The Islamic era saw the overrunning of Syria by Muslim armies, and most of the native groups became Arabized during that time. This has resulted in the defining of Syrian culture today as a result of Muslim influences. This is clearly seen in the architecture of the place, as well as the language. The roots of its modern culture lie far back in time, and the teachings of prominent Syrians at that time are believed to have influenced the Hellenistic and Roman civilizations. Modern Syrians are traditional, and focus their values on family, religion, education, self-discipline and respect. The traditional dances of Syria are performed at special occasions, like births and marriage ceremonies. Syrians have contributed much to the vast store of Arabic literature with their written and oral poetry. The traditional construction of houses involves several units surrounding a courtyard with a fountain or well. Some old examples of such houses are preserved and even continue to be used today. The cuisine of Syria is a mix of Mediterranean, Greek, and Southwest Asian influences. Turkish and French influences can also be identified in some dishes. The shish kebab, meats skewered and grilled, are iconic of this ancient cuisine. Yabra, or stuffed grape leaves, are reminiscent of the Mediterranean. Shawarma and falafel, foods that are popular the world over, are sold and served in many places. The dining setting is often informal, and most restaurants are open to provide an alfresco experience.